African swine fever (ASF) is a highly infectious hemorrhagic viral disease that wipes out entire herds of infected pigs. ASF is widespread in at least half of sub-Saharan Africa, and threatens food security due to devastating economic losses. Pigs are among the most profitable livestock for poor farmers. They are recognized as a species that can be used to improve livelihoods and contribute significantly to food security, especially for women. There is currently no treatment or vaccine against African swine fever. A major roadblock to the development of a new vaccine is the lack of convenient genetic tools to study this pathogen. Unlike other viruses, the ASF virus induces more complex immune responses that require intricate virus manipulation prior to the design and development of a vaccine. 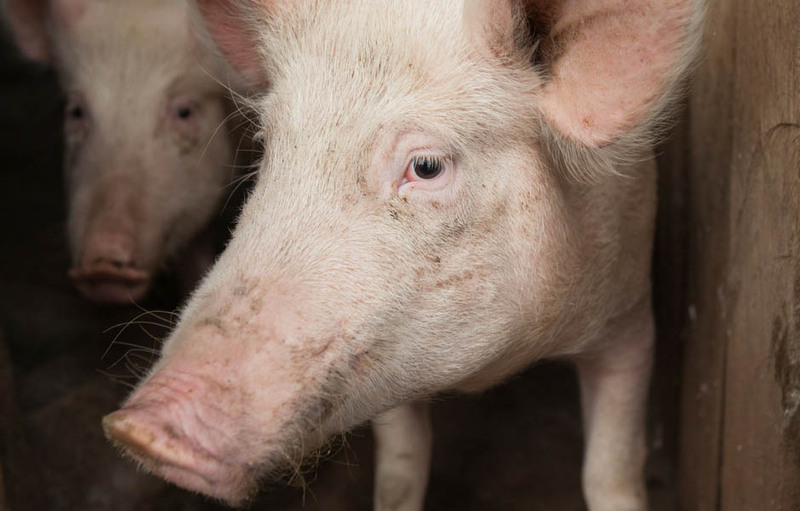 With an estimated 34 million pigs in sub-Saharan Africa, the development of an African swine fever vaccine could benefit up to 17 million smallholder farmers, especially women. Tackling this disease through the development of a vaccine will have the added effect of improving the lives of women in sub-Saharan Africa. essential for virus survival and stimulation of swine protective immune responses will be identified with the aid of bioinformatics and re-assembled into a recombinant ASF live viral vaccine. The recombinant vaccine will have the capacity to regenerate and stimulate immune responses without causing disease. By adopting this cutting-edge approach to the development of African swine fever vaccines, the overall expected result is the generation of a vaccine candidate that will undergo further testing and if successful, be produced as a new vaccine for ASF. This project is a collaboration between the J. Craig Venter Institute and the International Livestock Research Institute. The team will also collaborate with the Friedrich Loeffler Institute in Germany.